We came together as a team to describe what makes our dental practice unique, and this is what we found: We are serious about attention to detail and we have a passion for excellence in every facet of our work, but we balance this with a sense of humor and a relaxed, informal atmosphere. 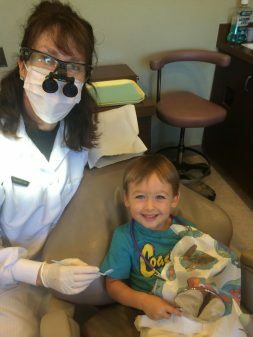 We want to treat each patient as we would treat a friend or loved one, to form a relationship and a partnership as we work with you to achieve a stable, healthy mouth and a beautiful smile. 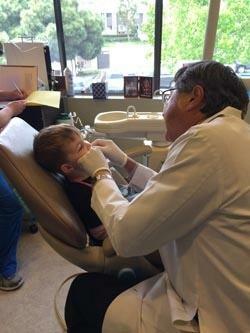 Originally founded by Dr. Lloyd Singer in the 1960’s, Dr. Yabuki joined Dr. Singer in 1981 as an associate dentist. The practice is now owned and managed by Dr. Yabuki. Dr. Yabuki brings to the practice, a long established sense of family with an emphasis on the latest technology, high quality, and strong ethics in a personable and safe environment. When you walk into the door, you are not only the patient, but you become part of a family that sincerely cares about you and your health. Dr. Jeff Coleman is the newest addition to our dental practice. Joining Surf City Dentist in 2018, Dr. Coleman is a Huntington Beach native and is happy to have joined with Dr. Ken Yabuki to provide high-quality dental care to residents of Huntington Beach and surrounding areas. We strongly believe in preventative care and yet will never condemn or judge you for having a less than optimal oral situation. We will simply help you out, give you options and make recommendations of how to prevent further problems….yet even then, YOU, the patient, are always in control. That is how we do business, it is a partnership and we are here to help. Costs are a concern to everyone, including our practice. We offer up-front pricing where you approve the treatment plan and we offer a multitude of different ways to pay for the treatment, sometimes with little or no costs to the patient. We accept PPO Dental Insurance, 0% Care Credit, All Major Credit Cards and USA Based checks.